Grant Cardone, internationally renowned sales trainer and successful CEO, launches a new round of hiring to find out who will truly do Whatever It Takes to succeed. On Friday, April 1st at 10 PM EST, Grant Cardone, international entrepreneur, real estate investor, expert sales trainer, television personality, New York Times bestselling author, and highly successful CEO, premieres Season 2 of his hit reality series Whatever It Takes: The Ultimate Job Interview. Grant believes the only way to find exceptional talent is to put them through exceptional obstacles. Simply put, Whatever It Takes is a quest for Grant to find extraordinary people in a time when the job candidate pool seems to be degrading in quality and most candidates fail at even the most basic professional skills. These job seekers, from recent graduates to seasoned sales professionals, are trying to prove that they have Whatever It Takes to join the Grant Cardone team! Will they break or will they prove themselves worthy? Find out at http://www.TheUltimateJobInterview.com. Grant Cardone literally came from nothing and did whatever it took to build multiple multi-million dollar businesses, which he currently runs. He became tired of the traditional hiring process that often led him to hire people that ultimately disappointed him. He created the show to find the best of the best, whether it be receptionists, personal assistants, web developers, social media experts, or sales people because Grant Cardone will not tolerate average people performing at average levels. Grant Cardone believes the Whatever It Takes show is a great opportunity for someone who is super competitive, outgoing, and fearless. Contestants on "Whatever It Takes" face extreme business challenges to validate their street smarts, navigate tough circumstances, and showcase problem-solving abilities. "I don't care about your race, resume, or work history. 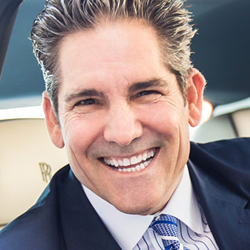 I want strength of character, audacity, swag, and the ability to prove it in front of a camera," says Grant Cardone. Season 2 comes out at a time when nearly half of all 25 year-olds are living with their parents and 76% of all Americans are living paycheck to paycheck. 7.8 million people in the US are unemployed and while many of them are focused on a resume, 65-70% of jobs are gained through personal referrals or networking connections. Many job seekers make mistakes such as leaving wrong numbers, failing to follow-up with a voice mail, and not having a good understanding of what job they are applying to. Viewers can go to http://www.TheUltimateJobInterview.com to catch up on Season 1 and watch the premier on Friday, April 1st at 10 PM EST. Grant Cardone TV is for entrepreneurs, business owners, go-getters, startups, sales organizations, and success-minded people that want to control where they get their news and their solutions. On Grant Cardone TV you will find coverage of topics like advertising, branding, business, career, education, entrepreneurs, finance, investing, money, marriage, network marketing, real estate, small business, startups, venture capital and more. It’s a place where simple answers are given to the challenges we all face in the world of business, finance, career and success. Grant Cardone is a business strategist, marketing and branding expert, the leading international sales expert in the world and best-selling author of five books. Cardone owns multiple companies; Cardone Training Technologies , Inc., Cardone Group (a software and technology business), Grant Cardone TV (online media network--GrantCardoneTV.com), and Cardone Acquisitions, a national real estate company which currently owns over 3,500 units throughout the United States.